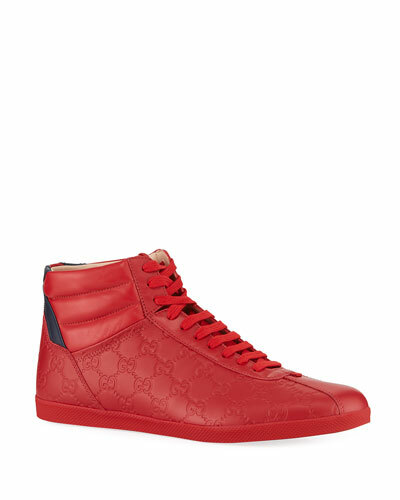 There’s a reason Gucci men’s shoes have become the must-have footwear of the season: high-quality materials, luxurious details, and an ever-comfortable fit. 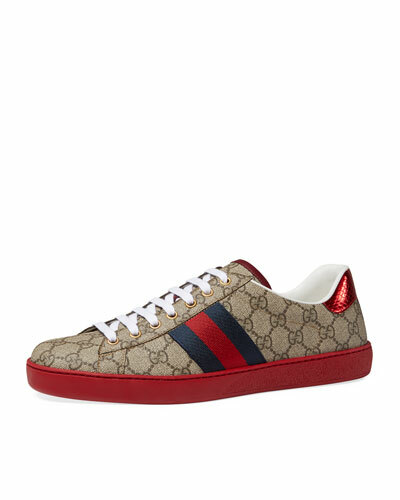 From high-to-low tops, Gucci sneakers lend a cool-casual vibe to any look. 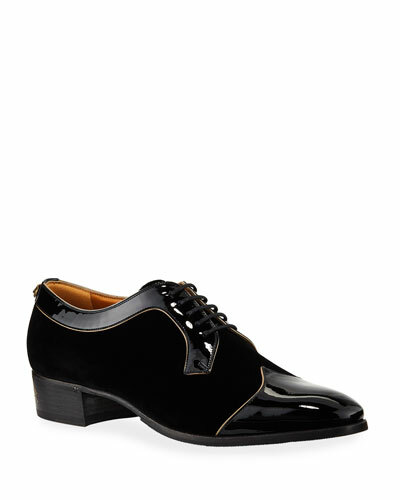 Gucci loafers project an air of buttoned-up elegance. 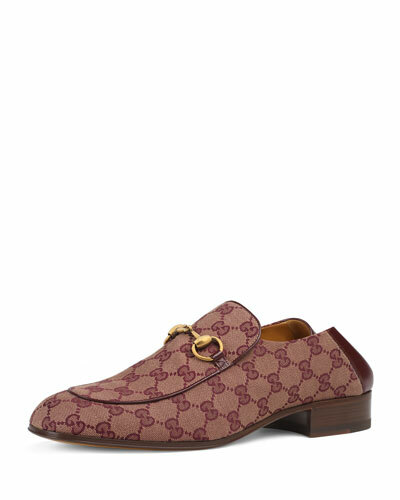 For events with a daring dress code, reach for something bold: a Gucci driver in a standout color or a slip-on in an exquisite jacquard. 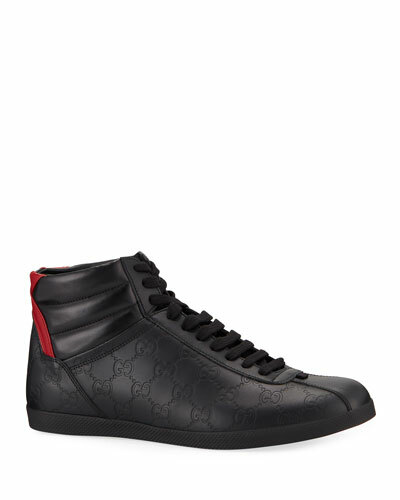 Every pair of sleek Gucci men’s shoes features signature hallmarks that speak to the brand’s quality, reliability, and high design, whether it’s the classic interlocking Gs motif, the iconic Gucci Web, or other intricate details, such as studding, graphic prints, and woven materials. 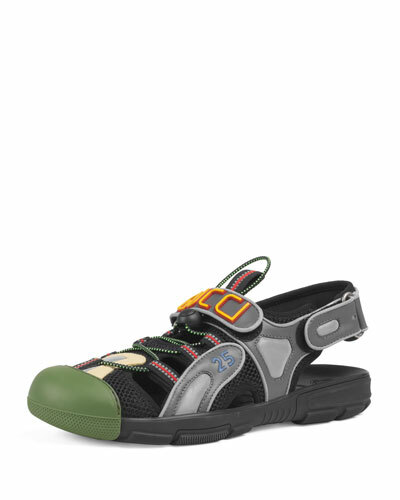 Summer days call for lighter footwear; check out the Gucci version of a clog or go for a masculine sandal. 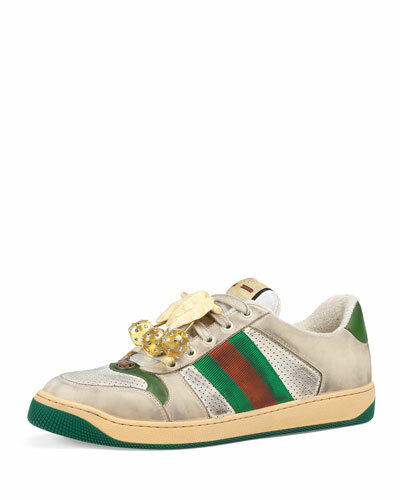 Gucci thong sandals with an edgy tread pattern are the perfect accompaniment to swim trunks. 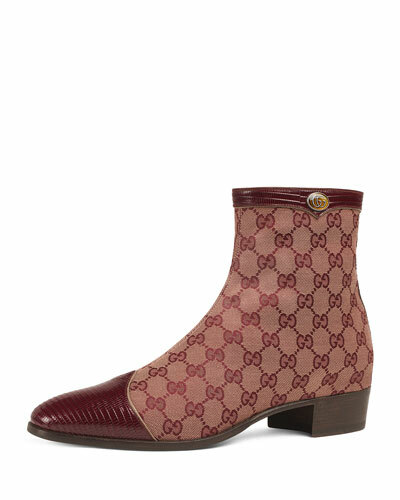 When temperatures plummet, reach for a classic Chelsea boot updated with Gucci web trim. 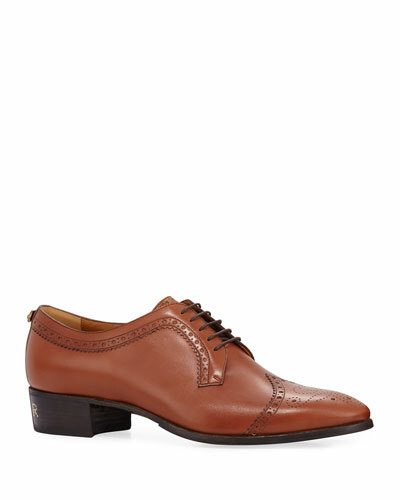 Nine-to-five looks call for a sophisticated loafer or moccasin topped off by the instantly recognized horsebit. 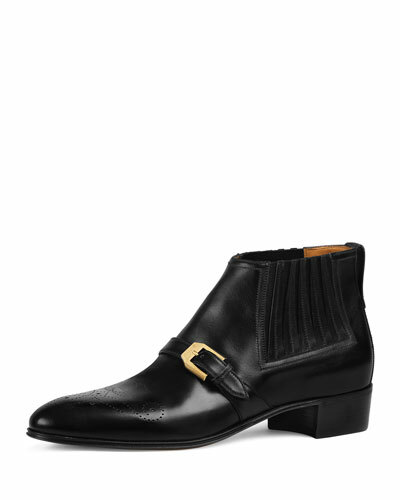 Gucci shoes for men are the epitome of innovation and fine Italian craftsmanship. 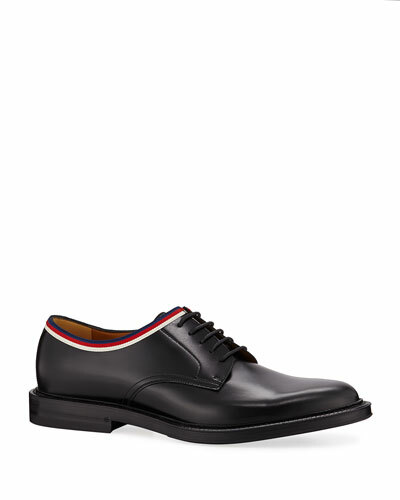 Discover the many versatile options of Gucci men’s shoes at Neiman Marcus today.